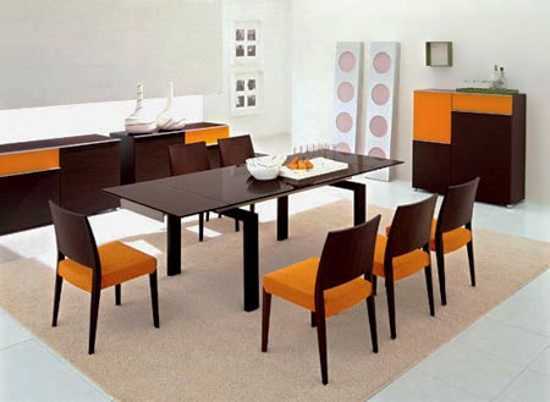 Modern interior design and decor that blend chocolate brown and orange colors create comfortable and juicy rooms. Chocolate brown and orange colors are excellent color combinations for making your home interiors feel warm and cozy, energetic and optimistic. Chocolate brown color tones compliment orange colors, providing fantastic background for bright interior design and decor with striking orange colors. Modern interior design mixes all chocolate brown color tones with stylish and juicy orange colors, producing gorgeous color combinations with light and fresh orange color shades like apricot to rich and bold orange colors, like tangerine. 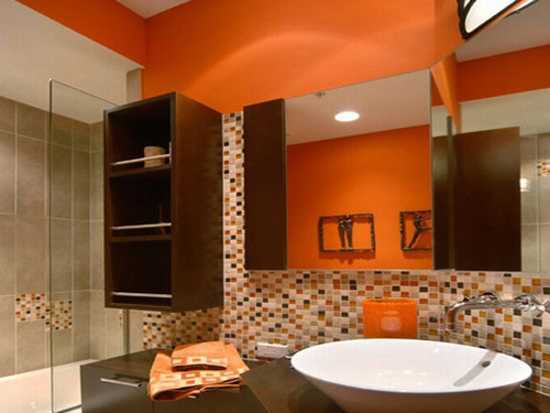 Orange colors look beautiful on the floor and walls. Combined with dark chocolate brown colors, they fill modern interior design and decor with youthful energy and festive mood. 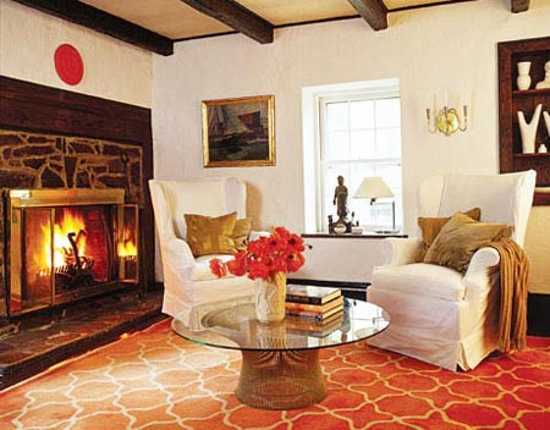 Bright tangerine orange or coral orange colors make fabulous blends with textiles and wood furniture in dark brown colors. Almost black, dark brown colors create contrasting, interesting and modern interior design and decor with orange paint or wallpaper patterns and offer comfortable and pleasant background for displaying bold accents in orange colors. Orange color shades are perfect for bringing dynamic movement into rooms with wood furniture in dark brown colors, while keeping them feel comfortable and warm. Light background, like creamy white floor rug or wall paint are great for showing attractive furniture in dark brown color and highlighting its elegant design with bold orange color shades. Orange color can be added with window curtains and furniture upholstery fabric, painting or wall decorations and floor carpet, decorative pillows or lamp shades. This color combination of dark brown and orange colors looks fresh and very attractive, when added to neutral colors and light background. 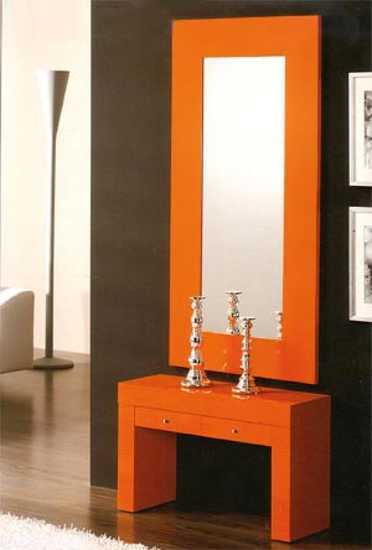 Dark brown color and orange tones create dynamic color combinations. Neutral colors of walls, ceiling and floor add calming tones to modern interior design and decor in brown and orange colors. Light wallpaper patterns, floor rugs and wall paint are ideal for home furnishings in dark brown and orange colors. All orange colors match light and dark brown color shades. Orange paint for walls are great for designing an accent wall. Orange wallpaper patterns add charm and romantic atmosphere to modern interior design and decorating, while creating exciting rooms. Blue and green colors are ideal color accents for interior design and decor in brown and orange colors. Blue color shades create a calming effect, and green color shades bring freshness and make rooms feel relaxing and harmonious.